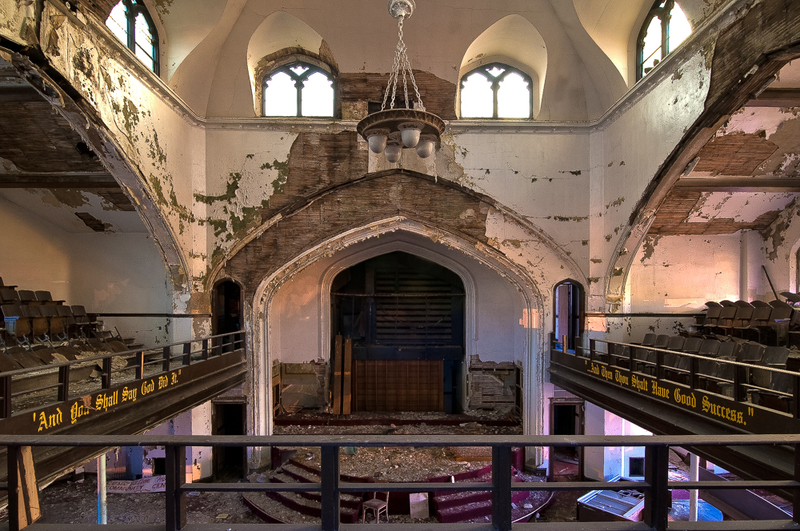 Beth Emmanuel Synagogue was built in 1923 and was located at 1550 Taylor Street at the corner of Woodrow Wilson on Detroit’s west side. Beth Emmanuel Synagogue was a Jewish synagogue in the heart of a mostly Jewish neighborhood. Beth Emmanuel Synagogue was also known as Taylor Shul. Beth Emmanuel Synagogue was large two story church that was designed in a Romanesque Revival style architecture. Beth Emmanuel Synagogue was actually two-separate buildings that were connected to each other; one was a synagogue/church and the other was a later addition of a gymnasium, offices, and classrooms. The exterior of Beth Emmanuel Synagogue was a light-brick and stone structure that featured ached-windows that were made of colorful stained-glass. Theses arched-windows were on both the first and the second floor of the building. A small, stone block separated the first and second floor sections of each set of the windows. On the front façade of Beth Emmanuel Synagogue, the small, stone blocks had a sculpting of a menorah on the centerpiece that was flanked a sculpting of the ten commandments on the blocks to each side of the centerpiece. Above the second floor stained-glass, arched-windows there was a narrow, rectangular stone-carved block and a circular cut-out of where a clock once stood so proud. The stained-glass, arched-windows on the front façade of Beth Emmanuel Synagogue continued to wrap around the each side of the façade of the church, but the eastern side windows were later covered by the addition of the two-story addition structure. That two-story structure was a light-brick building that featured dark-brick, arched-details on the exterior façade in an effort to match the original design of the church next door. The structure also had glass-block windows instead of beautiful stained-glass. The structure had a gymnasium, classrooms, a medical clinic, a conference room, and held the church offices. The rooftop of Beth Emmanuel Synagogue featured a cornice peaked-roof on the front of the church and four, circular, copper-domes that sat on the rooftop at each corner of the church. The interior of Beth Emmanuel Synagogue was just as beautiful as the exterior. There was a sanctuary that was surrounded by an upper balcony of pews and beautiful chandeliers in each corner. There was also a largest and most beautiful chandelier that hung in the center of the sanctuary. This chandelier was hanging from the large, hand-painted dome that was the interior pride and joy of Beth Emmanuel Synagogue. The pulpit area was surrounded by hand-paintings of biblical scenes and a circular, stained-glass window that overlooked the alter of Beth Emmanuel Synagogue. Beth Emmanuel Synagogue was truly a spectacular synagogue that was in operation for almost fifty years. In 1970, many of the Jewish residents from the neighborhood had moved out in direct relation to the 1967 riots that took place in the area surrounding Beth Emmanuel Synagogue. Beth Emmanuel Synagogue was sold to a Baptist congregation and the church became Tried Stone Baptist Church. Tried Stone Baptist Church continued to operate out of the location until in closed in 2012. 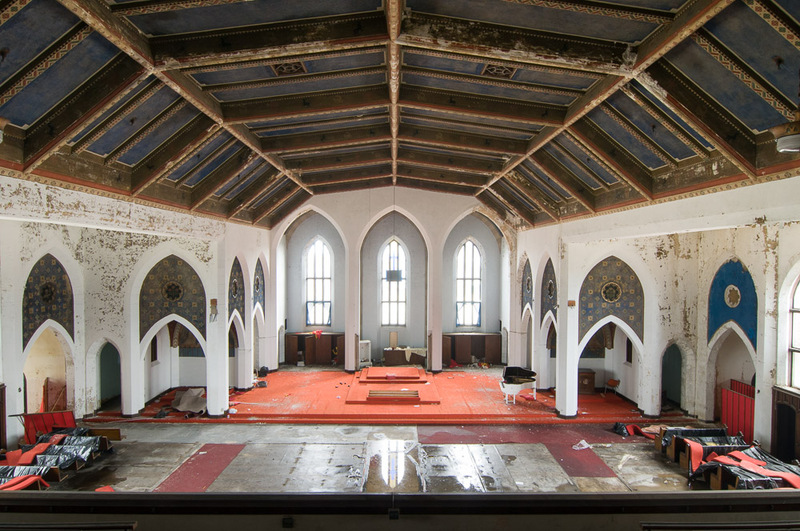 In 2012, Tried Stone Baptist Church was closed down in what was supposed to be a brief closing to do some repairs on the leaky roof. When thieves broke in and stole the piping and some of the church’s valuables, Tried Stone Baptist Church could not recover. Tried Stone Baptist Church continued to get worse and suffered great damage from scrappers and vandals. 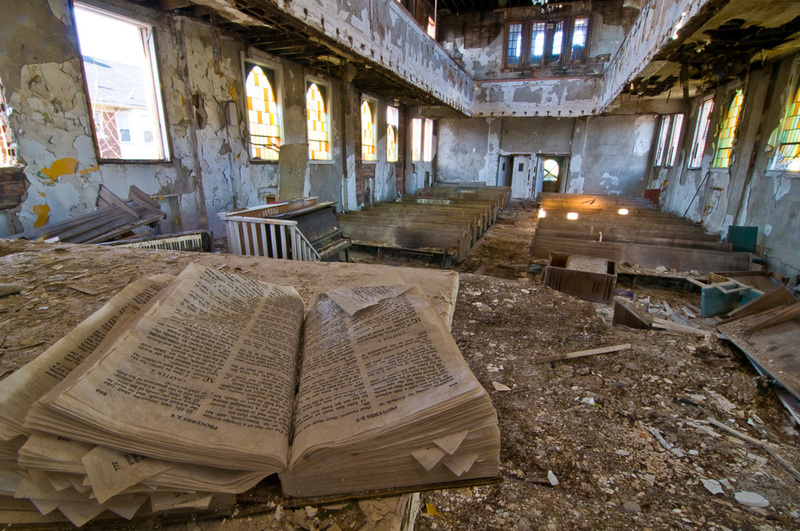 As of 2015, Tried Stone Baptist Church is still abandoned. 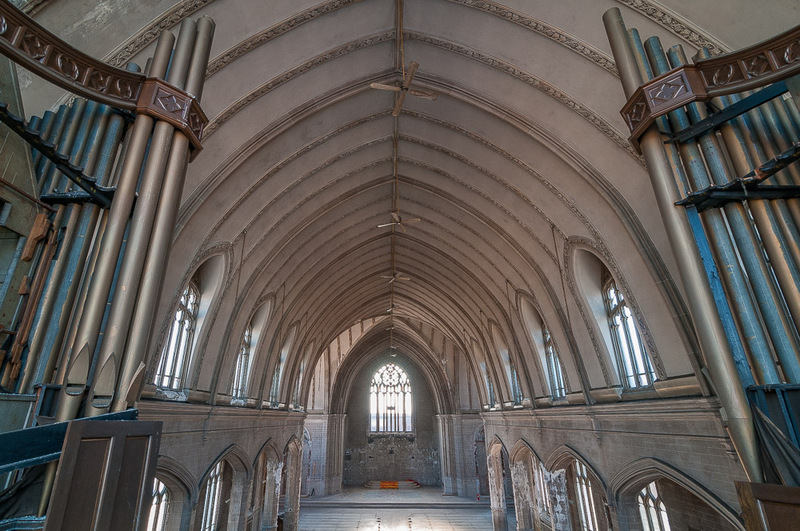 The are some rumors that someone has purchased the church in hopes of bringing it back to life. We at Detroit-ish can only hope for such a miracle.